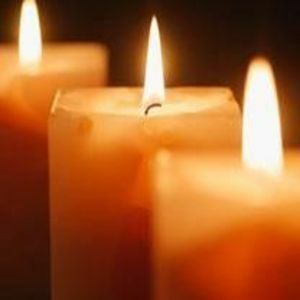 Essie Dare Mendenhall Griffin, 91, went home to be with the Lord on Monday, June 5, 2017 at Trinity Oaks in Salisbury, N.C.
Mrs. Griffin is best remembered as a cashier at the Colonial Store and at Belo. She was a member of West End Baptist Church of Williamston. Essie Griffin was born October 22, 1925 to Claude and Lydia Coltrain Mendenhall. She is proceeded in death by two brothers, James and Raleigh Mendenhall. Essie Griffin, wife of the late Ernest William Griffin, is survived by one daughter, Claudia Griffin Swicegood (husband Tommy), 3 Grandchildren, Nicole Swicegood, Lindsey Swicegood Nelson (husband Jason), and Sarah Swicegood Smith (husband Michael), 7 Great Grandchildren, 2 nieces, Maria Mendenhall Taylor, Faith Mendenhall, and one nephew, Allen Mendenhall. Visitation will be held at 11:00 on Thursday, June 8 at Biggs Funeral Home with the funeral service following in the chapel at noon. Burial will be at Woodlawn cemetery.